London-The Bureau of the Parliamentary Assembly of the Council of Europe (PACE) took a decision to consider the changes to the regulations that would allow dismissing the President of Assembly Pedro Agramunt because of a visit to head of Syrian regime Bashar al-Assad in March. The move came after the parliamentary assembly of the human rights-focused organization voted to amend its procedures to allow it to dismiss its president or vice president. There was previously no procedure for sacking or withdrawing confidence from the assembly’s president. Agramunt had come under fire for a visit to war-torn Syria in March during which he met Assad. His visit came weeks after a UN commission of inquiry into the conflict concluded that Assad’s regime had committed multiple war crimes during last year’s battle for Aleppo. This includes the deployment of poisonous chlorine gas and airstrikes on civilian targets. 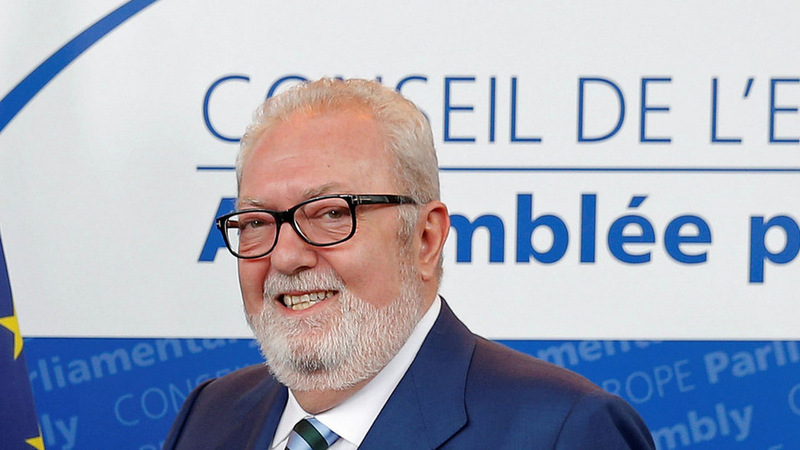 The Bureau PACE passed the no-confidence motion against Pedro Agramunt on April 28. At the session it decreed that Agramunt has no right to any official visits, attend the sessions or to utter any public declarations on behalf of the Assembly as its President.